The Olympics are most commonly associated with sporting excellence, but the history of the Games is also littered with moments of great cultural, political, and socio-economic significance. From the first female athletes and the birth of the Paralympics, to black rights and terror in Munich, here are some of the key moments in the history of the greatest event in sports. Women first took part in Olympic events at the 1900 Games in Paris, when out of a total of 997 athletes, 22 were female. Back then, they were only allowed to compete in five sports: tennis, sailing, croquet, equestrianism and golf. Thankfully, things have changed an awful lot since. The 2012 Games in London were the first in which women competed in all sports on the programme, and any new sport to join the Olympic programme must have female competitors. The 1936 Summer Olympics in Nazi Germany were supposed to act as a showcase for Aryan racial supremacy, but the most successful competitor at the Games was black athlete Jesse Owens. The American – now regarded as one of the greatest Olympians of all time – won gold in the 100m, 200m, the 4x100m relay and the long jump. In the latter event, Owens was given advice by German athlete Carl Ludwig Long, who would go on to finish in second place. After the event, Long was the first to congratulate Owens, and the two walked arm-in-arm to collect their medals. Owens later said: “It took a lot of courage for him to befriend me in front of Hitler … You can melt down all the medals and cups I have and they wouldn't be a plating on the twenty-four karat friendship that I felt for Luz Long at that moment”. In 1948, Sir Ludwig Guttman, a neurologist working with war veterans suffering from spinal injuries in the UK, weaved sport into his patients’ rehabilitation programme. Over time, other spinal injury units began copying Guttman’s methods and athletic competitions were arranged between hospitals. At the 1960 Olympics in Rome – the first to be televised – Guttman brought 400 wheelchair athletes to compete in what was called the Parallel Olympics. Since then the Paralympics have gone from strength to strength – at London 2012, 4,302 athletes from 164 National Paralympic Committees participated in 503 events. The late Muhammad Ali had a long affiliation with the Olympic Games. Cassius Clay, as he was called at the time, won Olympic gold in Rome in 1960, and was a passionate supporter of the Games and his US teammates, despite deep racial divisions in his home country. Clay loved the Olympics, and slept with his medal by his side, but when he was refused service in a whites-only restaurant back in the US, he threw it into a river. 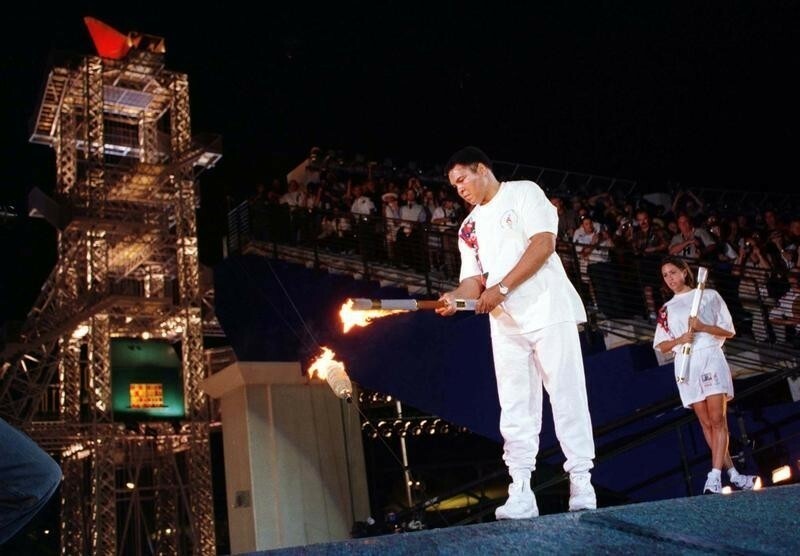 Thirty-six years on and despite suffering from Parkinson’s disease, Muhammad Ali lit the flame at the 1996 Atlanta Games, 100 years after the first modern Olympics in Athens, and the International Olympic Committee presented him with a replacement medal. Perhaps the most blatant political demonstration in the history of the Olympics took place at the Mexico Games in 1968. After winning gold and bronze in the 200m sprint respectively, African-American athletes Tommie Smith and John Carlos raised their fists in a “Black Power” salute while the flag was being raised and the national anthem played during their medal ceremony. Their demonstration took place at the height of the US civil rights movement, when some civil rights leaders were calling on black American athletes to boycott the Games. Instead, the non-violent gesture by Smith and Carlos brought international recognition to the struggle for civil rights. Smith later claimed the demonstration was a “human rights salute” rather than a Black Power salute, and all three men on the podium – including white Australian athlete Peter Norman, who supported Smith and Carlos – wore Olympic Project for Human Rights badges during the ceremony. The Olympics is often associated with cooperation and friendship between nations, but that image of international peace was shattered at the 1972 Games in Munich, when Palestinian terrorist group Black September took hostage and killed 11 members of the Israeli Olympic team (a German policeman was also killed). After scaling the fence to the Olympic Village, the heavily-armed attackers used stolen keys to access the apartments occupied by the Israelis. After killing two of the athletes, another nine were taken hostage and eventually killed when several rescue attempts failed. Outraged that New Zealand, whose rugby team had toured South Africa earlier in the year despite the country being under apartheid, was allowed to take part in the 1976 Olympics, 25 African nations staged a boycott of the Games in Montreal. Iraq and Guyana also joined the boycott. 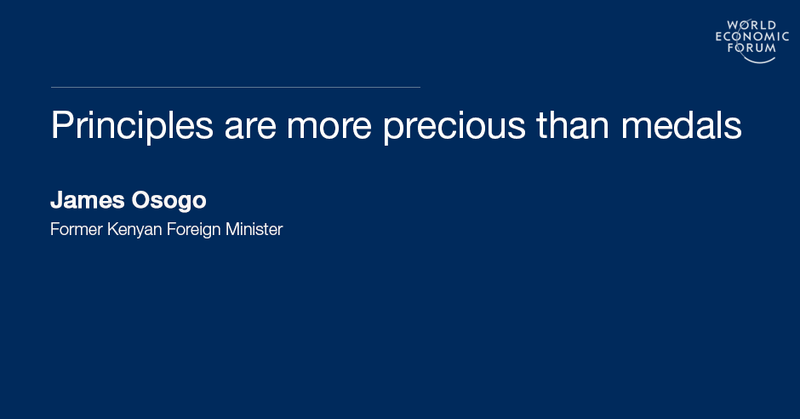 The foreign minister of Kenya at the time, James Osogo, said in a statement: “The government and the people of Kenya hold the view that principles are more precious than medals.” South Africa, meanwhile, had been banned from sending a team to the Olympics since 1964 due to its apartheid policies. The ’76 boycott wouldn’t be the last at an Olympics – in 1980 the US athletes stayed at home in protest at the Soviet invasion of Afghanistan. The pressure on Australian athlete Cathy Freeman at the Sydney Games in 2000 was immense. The runner was just one of 11 Aboriginals in the host nation’s 628-strong team, and it was hoped her performance on the track could help promote the image of a modern, tolerant Australia. Freeman was chosen to light the Olympic flame, but her real focus was the 400m, for which she was the overwhelming favourite. Rather than buckle under the pressure, Freeman – wearing an iconic skinsuit – comfortably won the 400m final in a time of 49.11 seconds, becoming Australia’s 100th Olympic champion in the process. Freeman carried both the Australian and Aboriginal flag on her victory lap. In a truly historic Olympic moment, the North Korean and South Korean teams marched as one at the opening ceremony of the 2000 Games in Sydney. Grasping the “flag of unification”, a blue outline of the entire Korean peninsula on a white background, female basketball player Chung Un Soon from South Korea, and Park Chong Chul, a male judo coach from the North, led the united teams (who were holding hands and wearing identical uniforms) into the stadium.